Grand Theft Auto IV's Liberty City is, easily, my favourite videogame setting around. That may surprise you given my bias towards certain games and, indeed, their own locations, but Rockstar's faux-version of New York is king because it continues to surprise me each and every time I visit. Every three months or so I fire up GTA IV simply to go for a walk or drive around Liberty City. I do this, I guess, because I want to relive my experiences of playing the game when it first came out, or when the Episodes proved that the city had many stories to tell. I also do it because its huge size, impressive design and sense of life is unparalleled in this medium, even three years after its release. You know something was incredible when even L.A. Noire's Los Angeles -- already impressive in its own way -- can't match Liberty City's scope or awe. It truly does feel like Liberty City exists whether you're visiting it or not, and this distinct difference elevates it above any other game setting as the best one I have ever had the luxury of visiting; of inhabiting. Verisimilitude is wonderful and certainly something that has seen substantial progress within this current generation, but it means nothing if these wonderful worlds that get built for games like Mass Effect, Fallout 3 and Red Dead Redemption are under-utilised or, worse, forgotten about. Obviously that's a non-issue at the moment as these games and their amazing environments are absolutely relevant to us right now, but my fear is that as we continue to progress and continue to move forward with technology, new hardware and new, amazing intellectual property (IP), these places of wonder will exist only in memory and nothing more. This might have been acceptable (to a degree) in the past where the medium's evolution was such a significant force, but as we reach and surpass the uncanny valley and photo-realism, I don't think it will be right to forget about Venice in Assassin's Creed II, Empire Bay in Mafia II or, yes, Liberty City in GTA IV. So much effort, time and resources go into making these virtual masterpieces but, because of the always looking forward mentality (that I keep bringing up on this blog) and the perception that what has come before must be outdone, I'm seriously worried that these wonderful game settings, these amazing spaces, will be left behind. Whether they are or not remains to be seen, but if it does happen then losing the brilliance of Liberty City will be the biggest loss, I think. Think about it for a second. 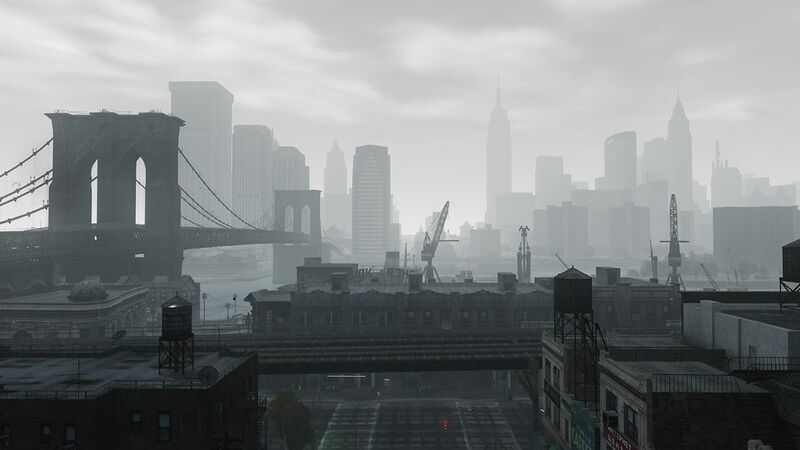 The Episodes From Liberty City downloadable content bucked the trend of DLC by redefining the city through new, fresh perspectives, adding a different take on a place we had all become familiar with. Like, say, Minerva's Den (also fantastic) from BioShock 2, this content took what we knew about these worlds and showed us that this was only just a small part of their overall make-up, that our insight was just a small component of a much bigger, much more incredible picture. They made something old new again, and definitely enhanced our overall enjoyment (and perception) of Liberty City as a whole. But, now that those episodes have been and gone, where do we go from here? Towards the next instalment of GTA (whatever that happens to be), of course, leaving Liberty City as nothing more than a memory -- an amazing memory, sure, but still a memory. This year's E3 is the perfect example of this situation: every single press conference that opened the show was met with gamers everywhere anticipating the announcement of the next Grand Theft Auto. Like Half Life Episode Three (or, indeed, Half Life 3) the announcement never came, but the point is that everyone is ready to move on and experience the next title in Rockstar's seminal franchise, and they can't wait to hear about even just confirmation that it is coming. These people have moved on, in other words, and while they can reflect upon their time in GTA IV's Liberty City and acknowledge how great it is, it's no longer relevant to their gaming habits because they're too busy awaiting the future. This is understandable, of course, and I don't begrudge anyone who is excited to see where the GTA franchise goes next (both literally, in terms of where it is set, and figuratively in terms of the impact it will have) -- I know I'm anxious to know as well -- but as such an immense fan of Liberty City, it's somewhat disheartening and definitely disappointing to know that no one cares about it like they used to. 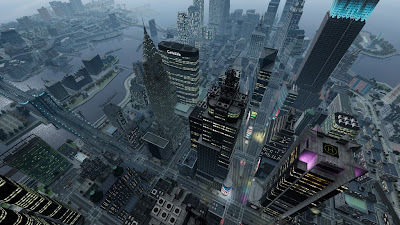 I don't know -- I look at Liberty City and see a gigantic metropolis with so much to see, so much to do, and also get the impression that we know so little about this remarkable city. Sure, we may have it memorised (I certainly do, thanks photographic memory!) and may know where we can go to play darts or go bowling, but as a whole we are a very small element in the city's massive scale, and despite three adventures within it, we've made such a little impact on it overall. At the end of the day we're just one person roaming the streets, with thousands more like us clearly visible amongst Liberty City's hustle and bustle. 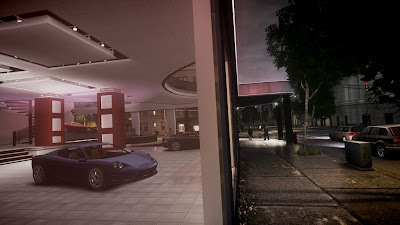 We may be the protagonist and, like all games, the experience may be centered around us and us only, but as I suggested before Liberty City leaves me with a sense that it exists whether I am there or not, and that my presence won't affect its ability to be home to so many civilians. It is kind of like New York for me in real life -- I know it is there and I'd like to visit one day, but it means nothing to my life here in Australia unless I actively seek to change that by hopping on a plane and flying to America. My concern is that no one will make the effort to make the trip to Liberty City any more, and the reason for that will be because they are always more interested in visiting the places that the various videogames out there take us next. That's not necessarily a bad thing, but Liberty City isn't exactly a disposable thing, either -- it is still the most stunning technical achievement and fascinating environment videogames have ever seen, but all of that will be forgotten once brand new games, perhaps even the next GTA, come along to wow us with their own amazing locations. New York will never be forgotten -- why does Liberty City have to be?